If you’ve never tried quinoa, now’s the time. Check out my How To Cook Quinoa video – quinoa is so easy to prepare and highly nutritious. 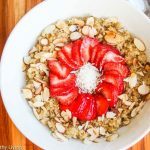 I have a number of quinoa recipes on my blog, but I realized I don’t have a post devoted to how to cook quinoa. 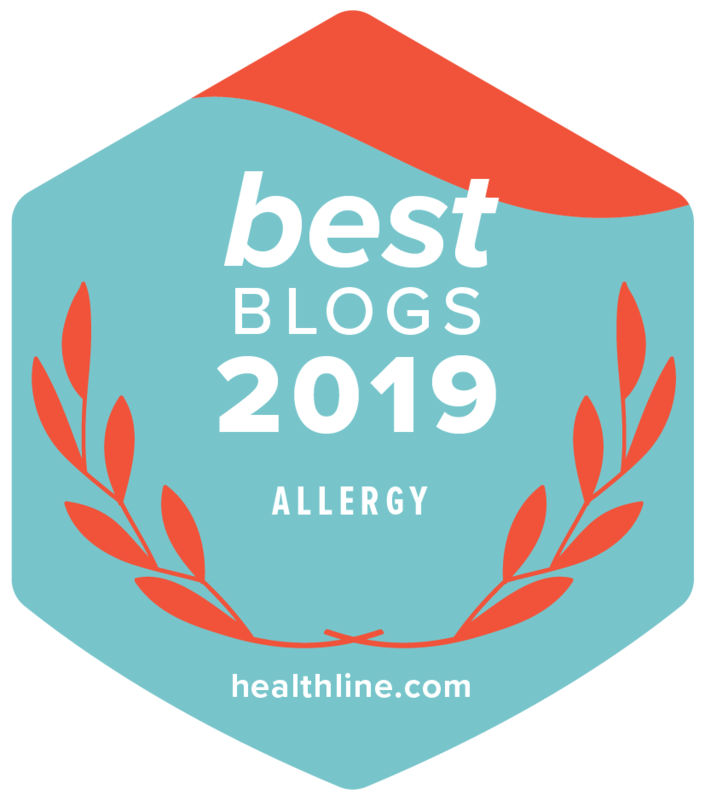 Recently, one reader asked what quinoa was, and that’s what prompted today’s post. 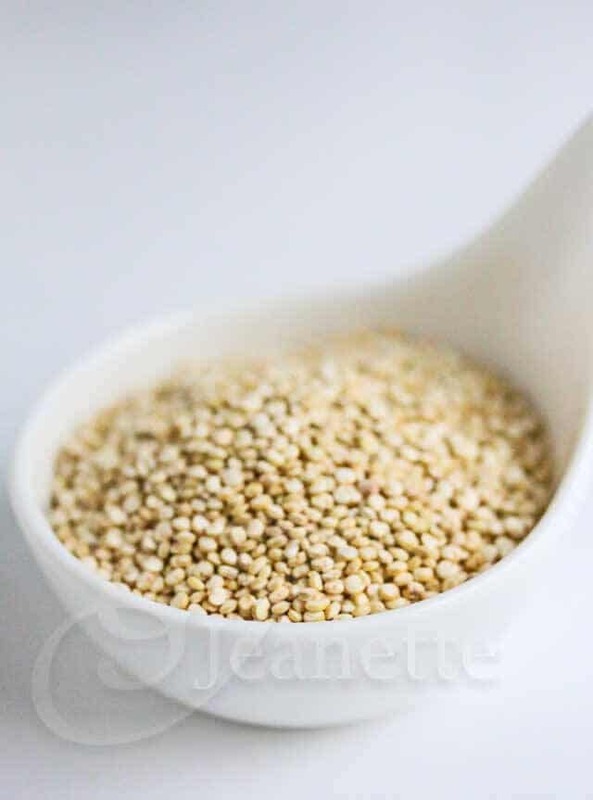 Although a newcomer to the U.S. market, Quinoa was actually domesticated 3,000 to 4, 000 years ago in the Andrean region in South America (Ecuador, Bolivia, Colombia, Peru). 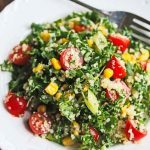 Quinoa is known as an ancient grain, although it is actually a seed, and is related to spinach, Swiss chard and beets. 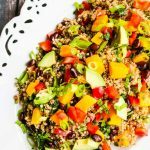 Quinoa is considered to be a complete protein, meaning it provides the adequate proportion of all nine of the essential amino acids for our diet. It’s also naturally gluten-free. 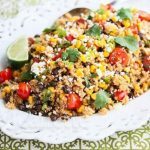 So, if you’ve never tried quinoa, I hope I’ve convinced you that you should. 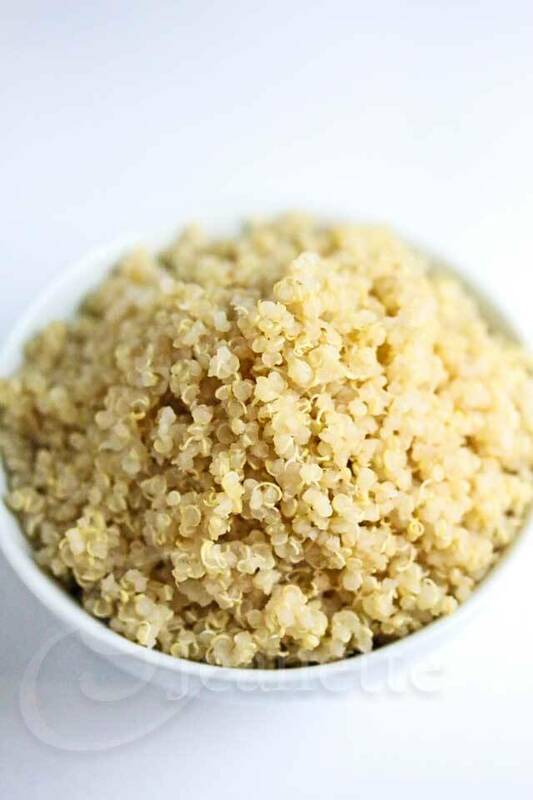 Quinoa is a great substitute for any grains and pasta, and is very easy to make. 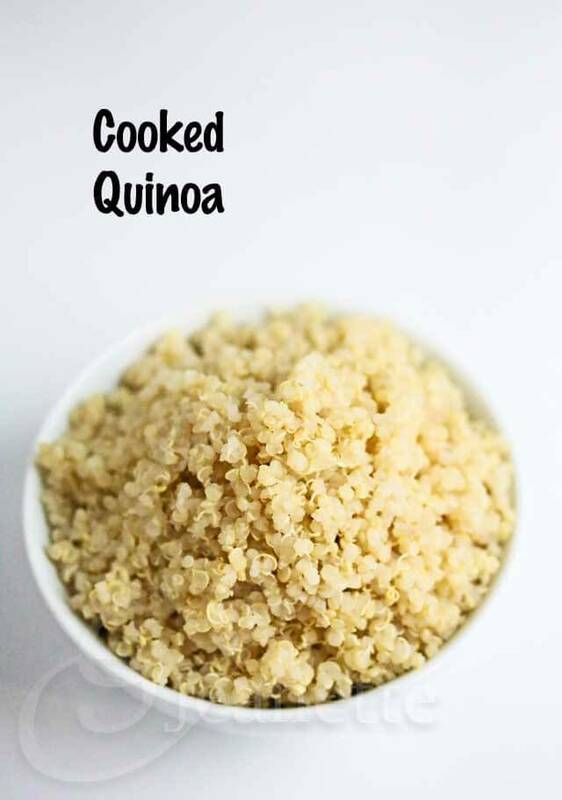 Just take a look at my short video How To Cook Quinoa and see how easy it is. If you can boil water, you can cook quinoa. Rinse uncooked quinoa well to remove the bitter coating called saporins. I put quinoa in a bowl with water and swish it around, drain it and rinse again. Then I rinse and drain it some more in a fine sieve. 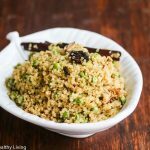 An alternative way to remove the bitter taste of saporins is to dry toast the quinoa in a pan instead of rinsing it. This adds a toasty flavor too. The ratio for cooking quinoa is 1:2. That means for every cup of quinoa, use two cups of liquid. Liquids can mean water, chicken stock, vegetable broth, coconut milk or other liquids. The cooking time for quinoa is 15-20 minutes. I cook quinoa on medium heat, covered, for 15 minutes, then turn the heat off and leave the pot covered for another 5 minutes. 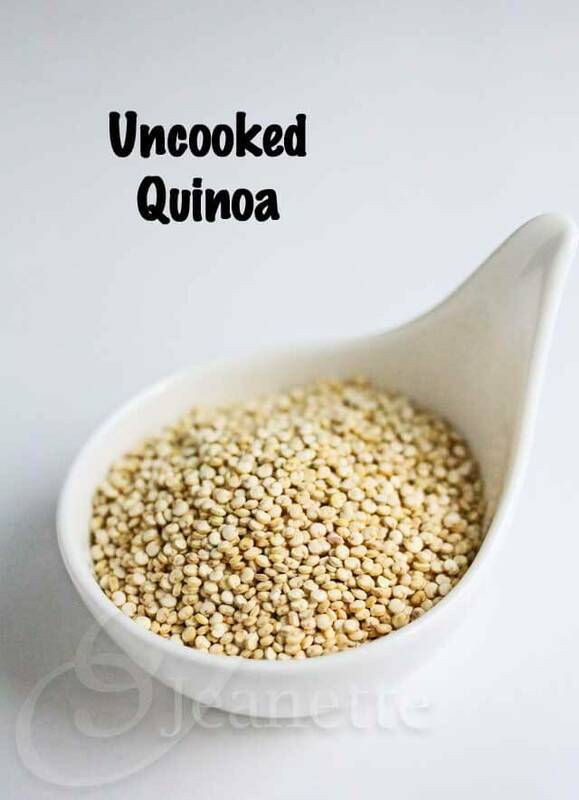 One cup of uncooked quinoa makes about about 4 cups of cooked quinoa. 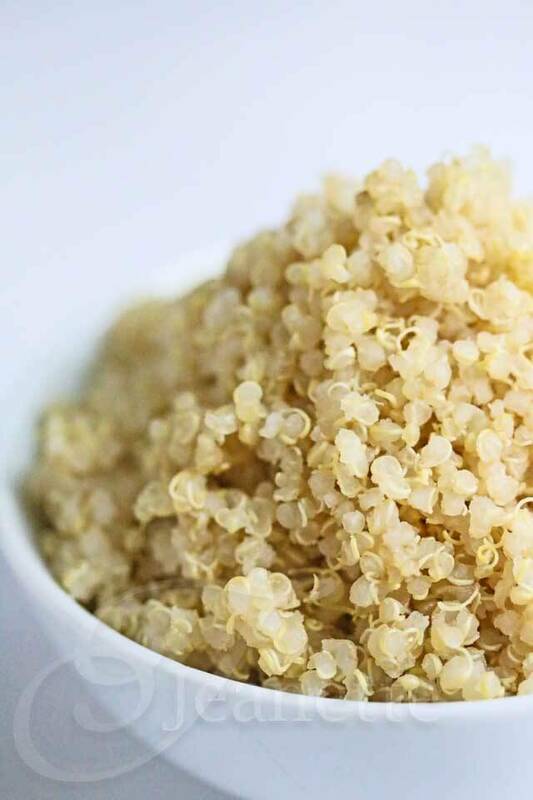 You can make quinoa ahead of time and store it in your refrigerator or freezer. You can also cook quinoa in a rice cooker. Use the same ratio of 1:2 quinoa to liquid and cook on the regular or quick rice setting. Quinoa is a really versatile grain (it’s actually a seed). 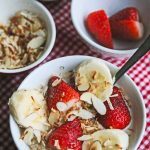 It can be enjoyed sweet or savory, for breakfast, lunch, or dinner. Quinoa can be blended into dessert recipes too (check out my Quinoa Brownie Recipe). Sometimes I cook quinoa in chicken broth or vegetable broth, when I know I’m making a Quinoa Salad. Other times, I just use water so I can use the cooked quinoa for whatever I dream up, whether it’s my Quinoa Banana Chocolate Chip Breakfast Bake, Quinoa Almond Flour Pancakes, Quinoa Mango Black Bean Red Pepper Salad, or Quinoa Butternut Squash Roasted Beet Salad. Okay, no excuses now, you can now try making quinoa if you haven’t already. Place quinoa in a bowl and swish around with your hands; drain; repeat 2 more times. Place rinsed and drained quinoa in a small saucepan. Add water. Cover and bring to a boil; reduce heat to low and cook for 15 minutes. Turn heat off and let sit, covered, for another 5 minutes. Remove cover and fluff with a spoon. 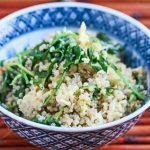 Quinoa is an amazing superfood! Your video is great! Christine – yes it is! Thank you! Great post and video Jeanette! 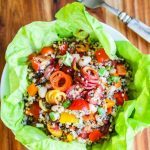 I find many of my clients don’t necessarily know how to cook quinoa another grains, so I’ll definitely be sharing this with them. I also like to rinse “pre-rinsed” quinoa-tastes much better that way! This is such a great post! 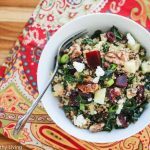 Quinoa is amazing when done right! I like back to basic posts like this, Jeanette. Thanks for sharing the video too. What a great timing! I was actually telling my guy friend how to cook quinoa verbally on the phone the other day, but this video is perfect for him to watch!!! 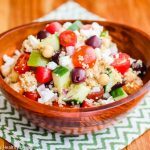 Quinoa is one of my favourite foods at the moment! I’ve never toasted quinoa…what an excellent tip! I just adore the stuff!!! Liz – that is a good trick when you don’t feel like rinsing quinoa.